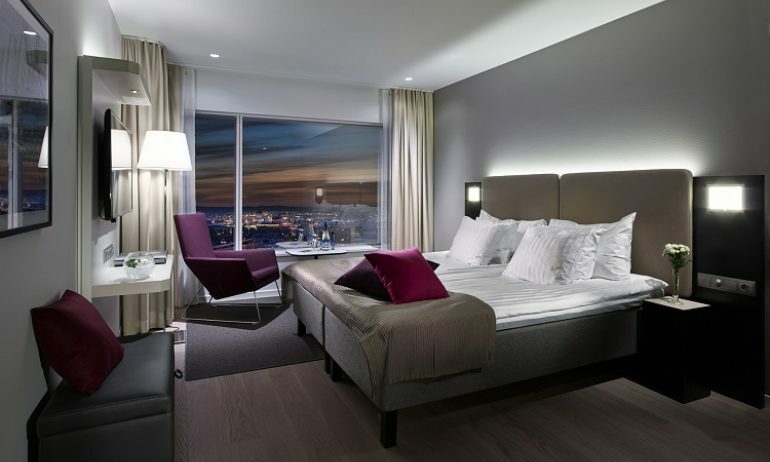 Enjoy the convenience of staying at the Gothia Towers, the congress hotel. A four-star hotel with 1,200 tastefully decorated rooms and magnificent views across the city. Plus several restaurants and bars with something to suit all tastes. 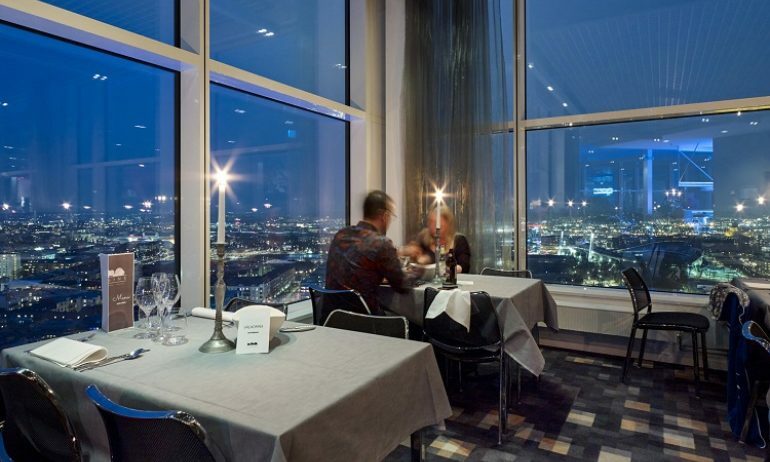 Gothia Towers has several different restaurants and bars. Sample a rustic Italian meeting place and food market, perfect tasting menus with views of the stars, a bistro with focus on local ingredients, the lobby’s grab ‘n’ go venue, a west coast fish and seafood buffet or seasonal vistas and divine dining on the 23rd floor. Open your senses and enjoy good food in good company. 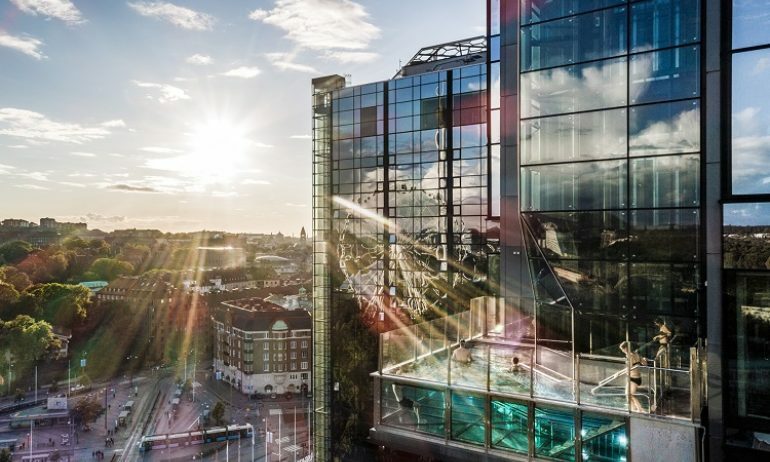 As a guest at the Gothia Towers, you can use the gym at our sister hotel Upper House. Situated on the 19th floor, with views across the city, this is a gym experience that takes some beating. Remember to pack your gym gear. 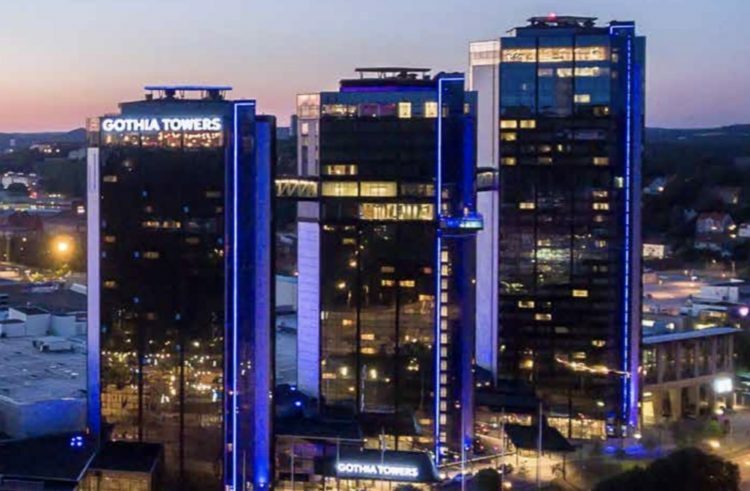 As a hotel guest at Gothia Towers you receive a 20% discount on Spa Experience at Upper House Spa. Gothenburg, the second city in the south west of Sweden, has excellent connections via its airport. Within Scandanvia, the city’s main railway station and several motorways make Gothenburg easily accessible. The venue / hotel is located only 20 minutes by bus from the airport that stops outside the venue. With a very modern and highly efficient local transportation network, transport in the city is quick and easy. Over 30 airlines serve the international airport, at budget and standard levels, with 83 flights arriving each day. Check which airlines fly direct in the link below. It takes 20 minutes to travel from the airport to the venue (Svenska Mässan) and hotel (Gothia Towers). Buses leave from outside the terminal building and the final stop is the central station Nils Ericssonterminalen. Take the bus to the stop called “Korsvägen/Svenska Mässan” which is located right outside the entrance of the venue/hotel. You can buy your bus ticket online ahead of time, or from a ticket machine or the bus driver. Tickets costs SEK 95 single way and SEK 185 return. No cash is accepted on the bus only credit/debit cards. Costs approximately SEK 420 to / from Landvetter Airport. Ask for a fixed price. The driver should have a taxi ID card clearly displayed. Service is included in the taximeter price. Uber is also available in Gothenburg. Swedish railways and the MTR Express are running frequent services to and from the central station in Gothenburg, connecting the city with the Scandinavian capitals Stockholm, Oslo and Copenhagen. The journey times are just under 4 hours from Oslo, around 3 hours from Stockholm and 3.5 hours from Copenhagen. The trains from Denmark stop at Copenhagen international airport, making it a convenient option to fly there and catch the train to Gothenburg. In Gothenburg we walk! The venue is located right in the city center and all hotels and social venues are also walking distance from each other – walk and explore the city, or use the public transportation or consider the city bikes instead of taxis. The tram stop for the congress centre / hotel is “Korsvägen”. From the train station you will find a tram stop just outside at Drottningtorget.Take tram No. 2 or 13 to Korsvägen. Göteborg City Card gives you free admission to lots of entertainment, sights, excursion, Liseberg amusement park (opposite the conference venue) and many museums. Parking and travel with trams, buses and boats are included. You’ll also get shopping booklets with discounts in selected stores. 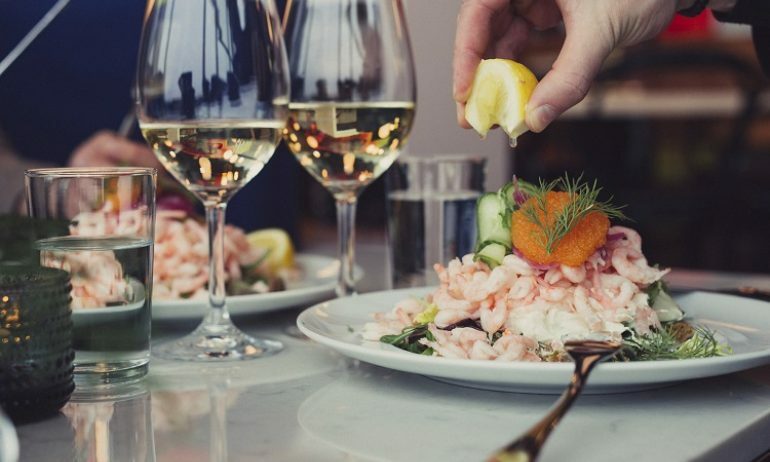 Maximise your stay in Gothenburg. The card is valid for 24, 48 or 72 h.
Boats / ferries can be used to cross the harbour or for visits to islands. Gothenburg is a bike friendly city. Throughout the city you will find bike stands with rental bikes. For only SEK 75 you can rent a bicycle as often as you wish. The first half hour of each journey is always free, regardless of the number of journeys per day. Short time visitors can choose the 3-Day Pass, which can be purchased from any of the credit card terminals for just SEK 25. It is also included in the Göteborg City Card.